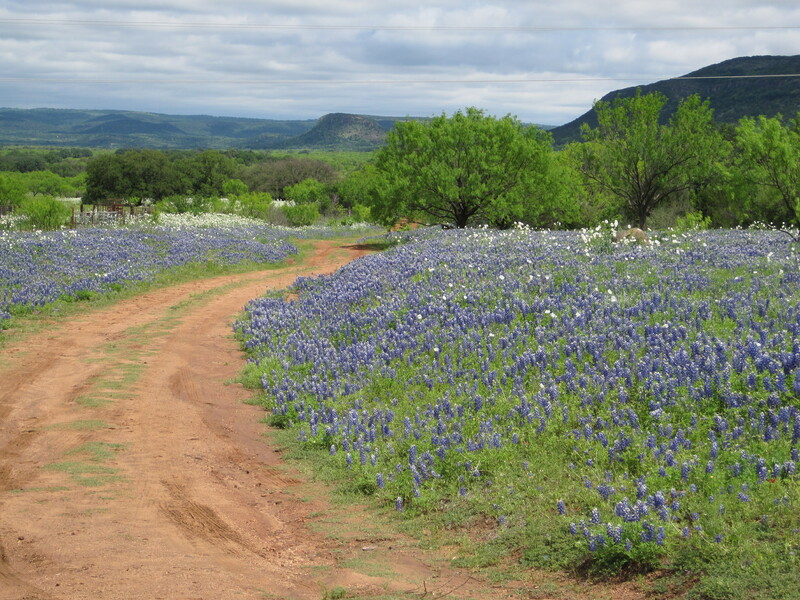 We were out in the Hill Country this weekend, enjoying the beautiful wildflowers and panoramic scenery. This is the best shot I got. The bluebonnets flow in rivers out there. I’m lousy with a camera, but someone who is not posted pictures taken Saturday from the same loop, and I feel compelled to link them so you get a glimpse of how beautiful the Hill Country is right now. I’d credit the photographer, but he’s known to me only as BQ88. This creek of blue is flowers. The diversity of flowers out there is breathtaking. It’s the traditional bluebonnets and oak tree shot, but 10 times better looking than the one I did of the exact same location. And how about this one, of the same location from my first shot? Yeah, this guy knows how to do color. If you’re in Central Texas in the next week or two, go see the flowers before they’re gone. They are spectacular. You can see the route I took here. Very nice! I totally want to take that drive!! It’s totally worth it, and about 3 hours round trip. I’ve never spent any time in Texas even though my brother lived there for a while. Maybe, I’ll have to plan a trip! April is the perfect time to visit — not hot yet, not cold, and sooooo beautiful. A different beauty than the Rockies (and those mountains are stunning!) but beautiful all the same.